MATTESON, Ill. — Larry Gambles. That's a full statement and a full name. 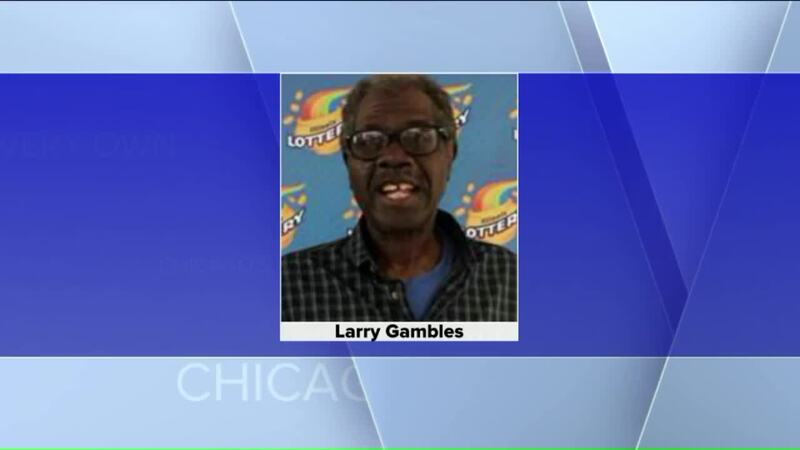 Larry Gambles is a 65-year-old man from the Chicago area. 'Gambles' is what people call him and something he does very well. He has won the lottery twice using the same numbers. Most recently, Gambles won $1.05M this month in the Lucky Day Lotto jackpot. Nine years ago, he won $50,000 playing the numbers from the jerseys of his high school basketball team. "I've been playing the same numbers ever since," he said in a news release. "I can't believe they paid off again!" MATTESON, Ill. — His name says it all. Larry Gambles, 65, of Matteson, has won the lottery twice using the same numbers. He won $1.05 million earlier this month in the Lucky Day Lotto jackpot. "Nine years ago, I won $50,000 playing the numbers from the jerseys of my high school basketball team," Gambles said in a news release. "I've been playing the same numbers ever since. I can't believe they paid off again!" His best advice to other lottery players is to "pick your favorite numbers and stick with them," according to lottery officials.